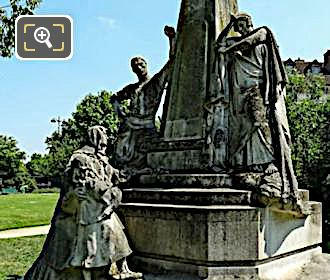 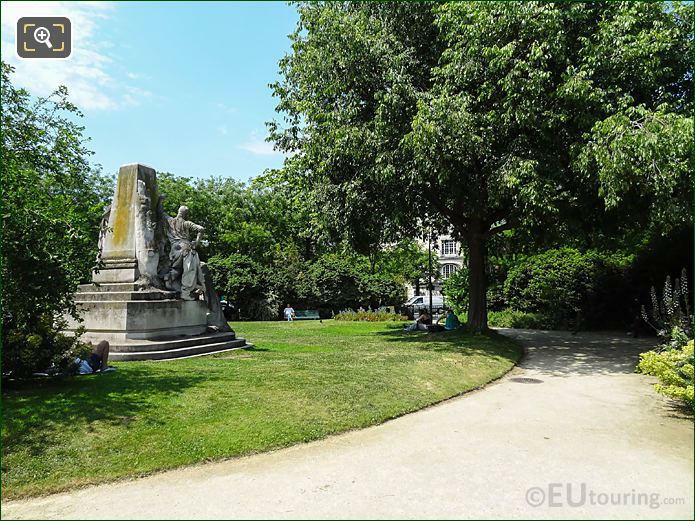 We took these high definition photos showing the Square Claude Nicolas Ledoux, which is located at the Place Denfert-Rochereau in the 14th Arrondissement of Paris. 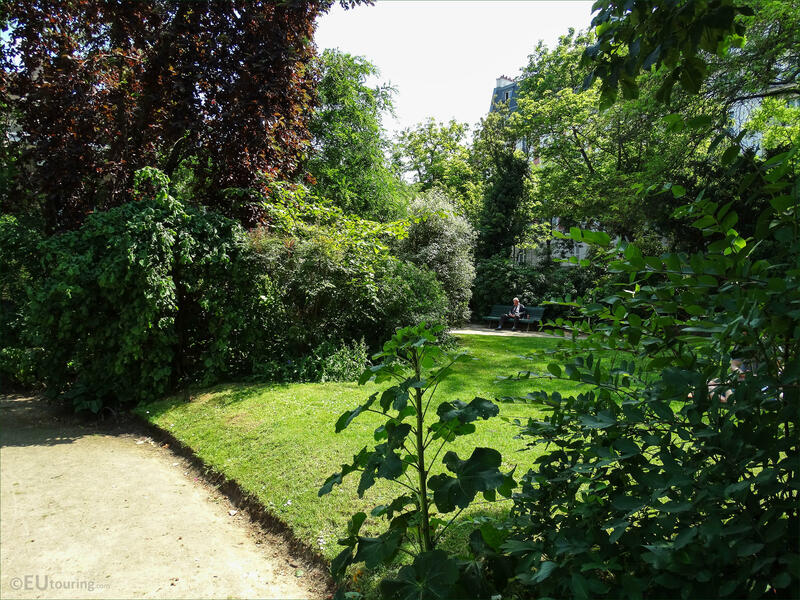 This first HD photo shows the beautiful garden called the Square Claude Nicolas Ledoux that was laid out as an English style garden back in 1894 and this is the largest of gardens at the Place Denfert-Rochereau. 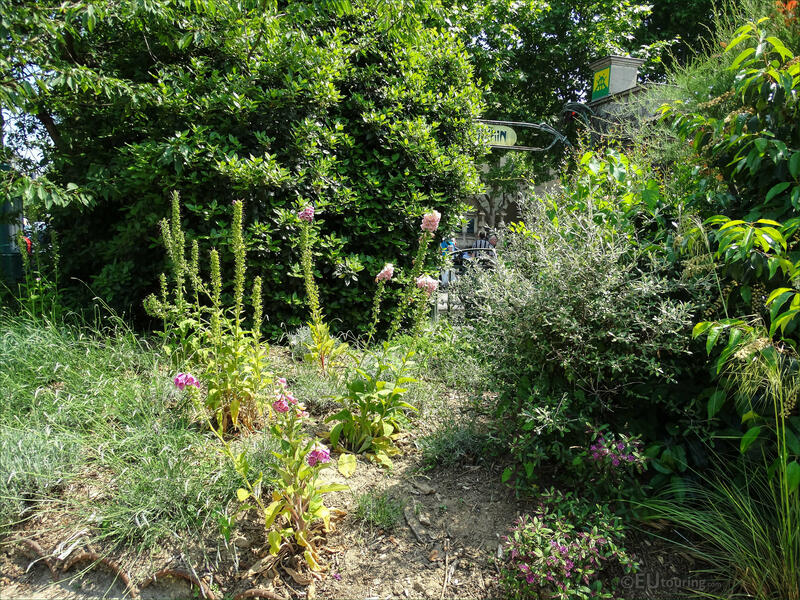 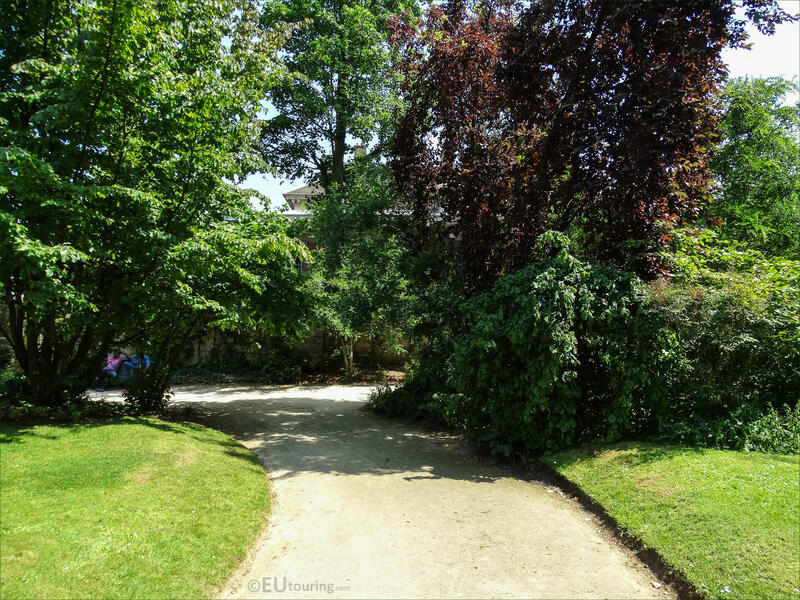 Here you can see another part of this garden that is surrounded by numerous different varieties of trees and shrubs, that has plenty of park benches where you can sit and relax in peace and tranquillity. 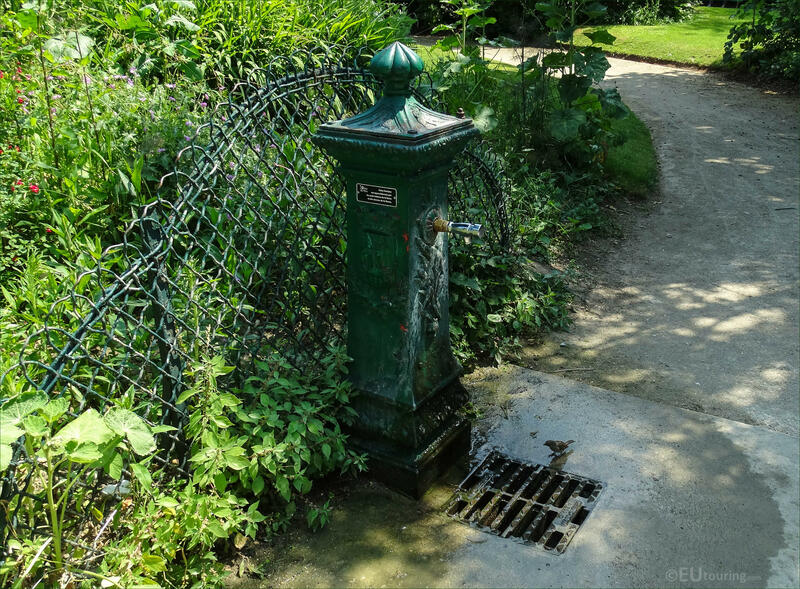 Now going back in history, on the boundaries of Paris, a wall was constructed called the Wall of the Farmers General, which had toll houses or pavilions to collect taxes from goods entering the city, and these were designed by Claude Nicolas Ledoux. 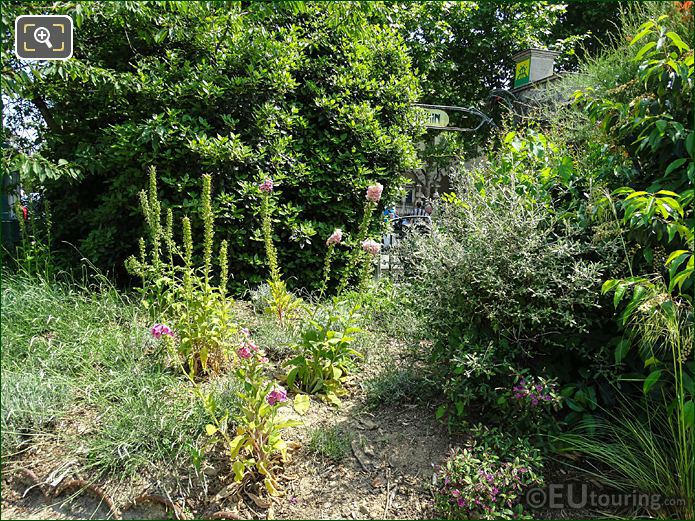 There is not much left of this wall, and many buildings were destroyed during the French Revolution or during the reorganisation of Paris by Baron Haussmann, however two called the Barriere d'Enfer still remain at the Place Denfert-Rochereau, so hence why this square with its many beautiful flowers like the close up you can see here, was named after the architect. 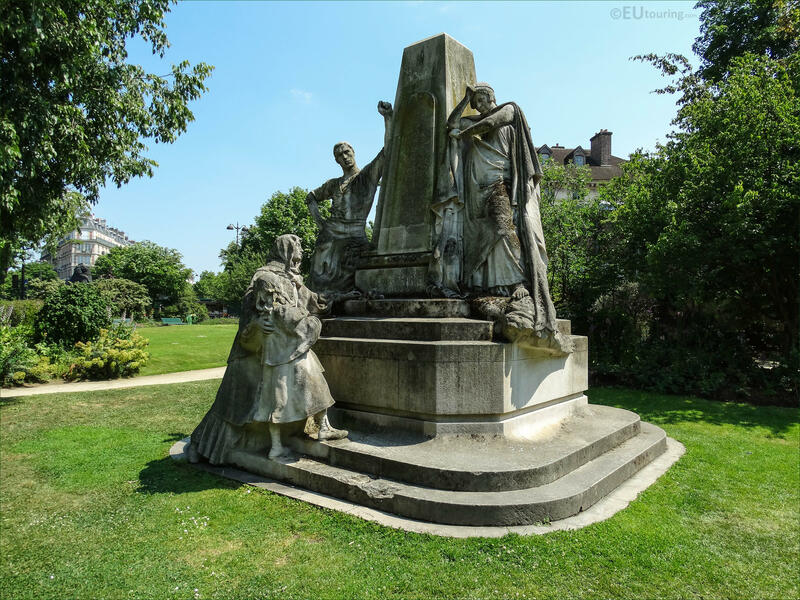 However, this photo shows a monument that is also located within the Square Claude Nicolas Ledoux, and dedicated to Ludovic Trarieux, who was the founder and first president of the French Human Rights League, this was designed by the architect V Lesage, yet sculpted by Jean Boucher, which was put in place in 1907. 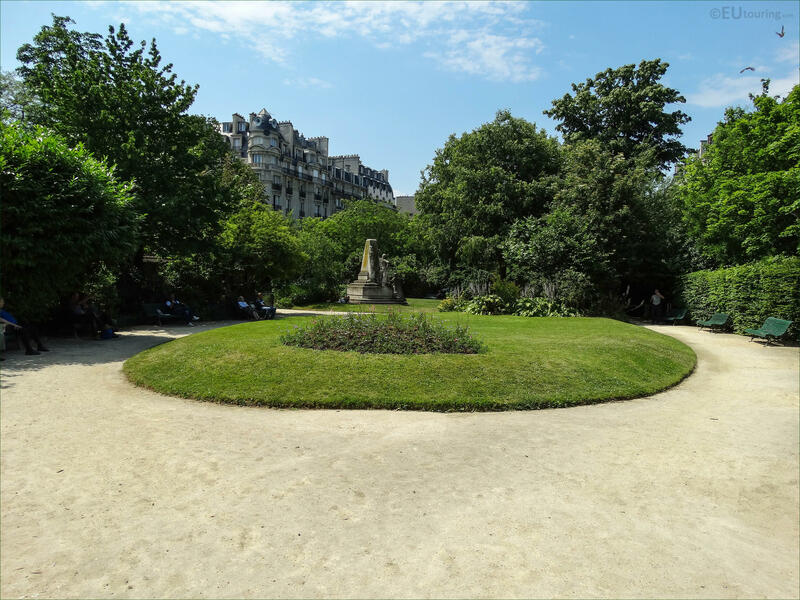 We mentioned earlier that the Square Claude Nicolas Ledoux was designed as an English style garden, and in contrast to a French Garden with formal patterns and straight lines, as you can see there are meandering pathways leading you to different areas. 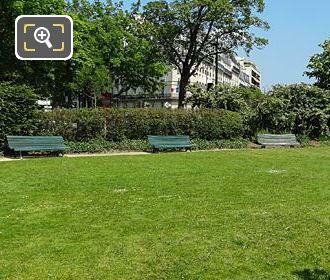 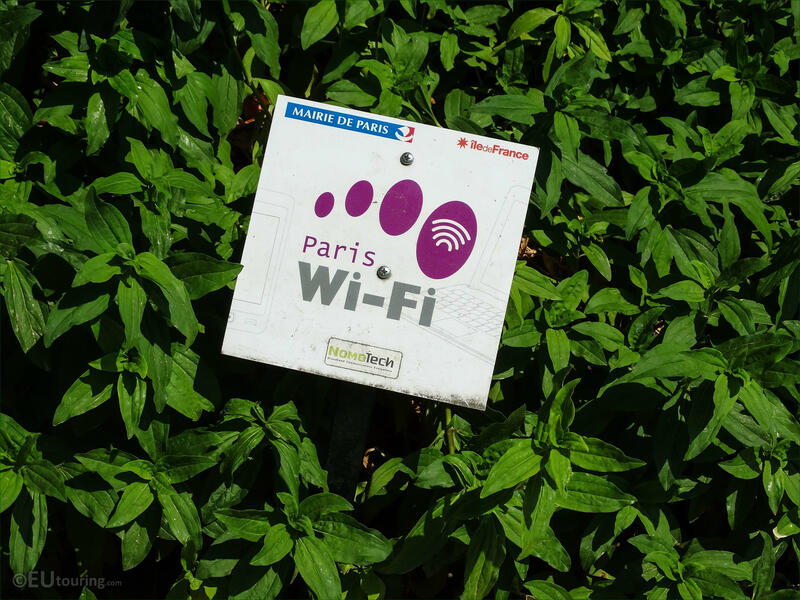 But here you can see a plaque stating that the Square Claude Nicolas Ledoux is also a Wi-Fi zone, and you will often come across these signs in many public gardens, parks and squares dotted all over the city, which makes it ideal for tourists to keep in touch with family or even find information of what is nearby, etc. One of the nice things about an English styled garden, is that there are numerous different areas where people can relax in peace and quiet, often out of view of other people, just like this couple sitting on the grass in the shade of one of the many trees. 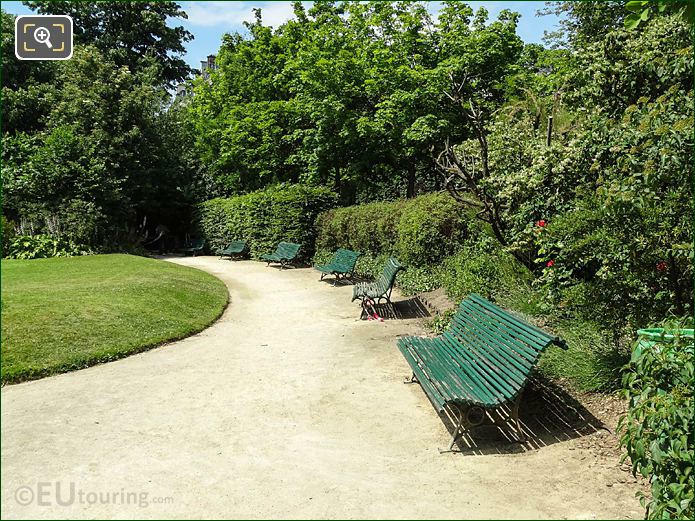 Yet here you can see another one of the winding paths that was located close to the perimeter of the Square Claude Nicolas Ledoux with some of its park benches facing the grass area. You will also find that many parks and squares have fresh drinking water points that are often referred to as Wallace fountains, just like the one you can see in this photo, which was within the Square Claude Nicolas Ledoux. 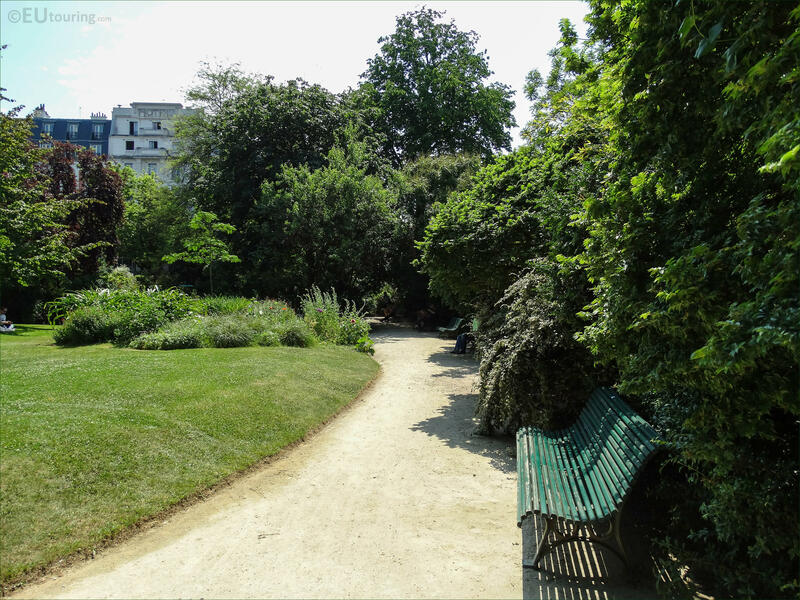 And this particular garden with its numerous types of flowers is located right by a Metro station entrance and the western Barriere d'Enfer that was designed by Claude Nicolas Ledoux who was an architect born in 1736 and designed buildings in a neoclassical style, mainly for the French Monarchy and wealthy clients. 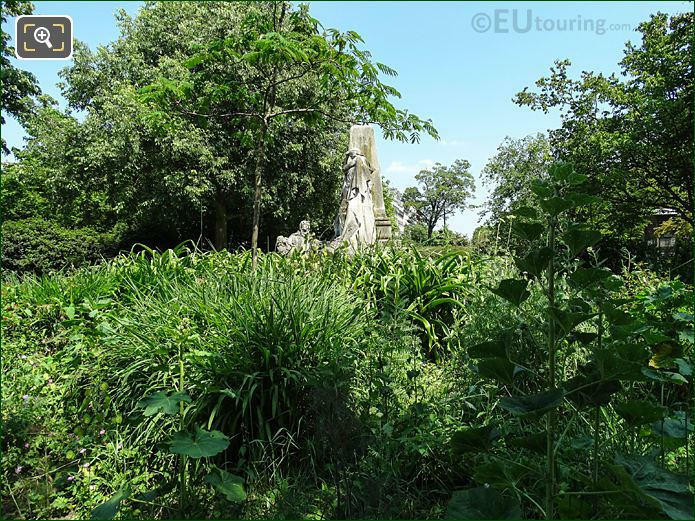 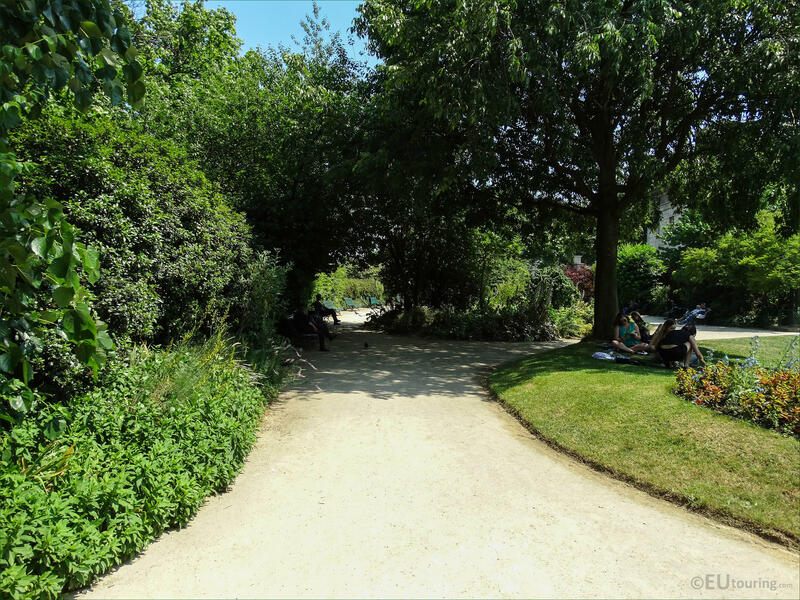 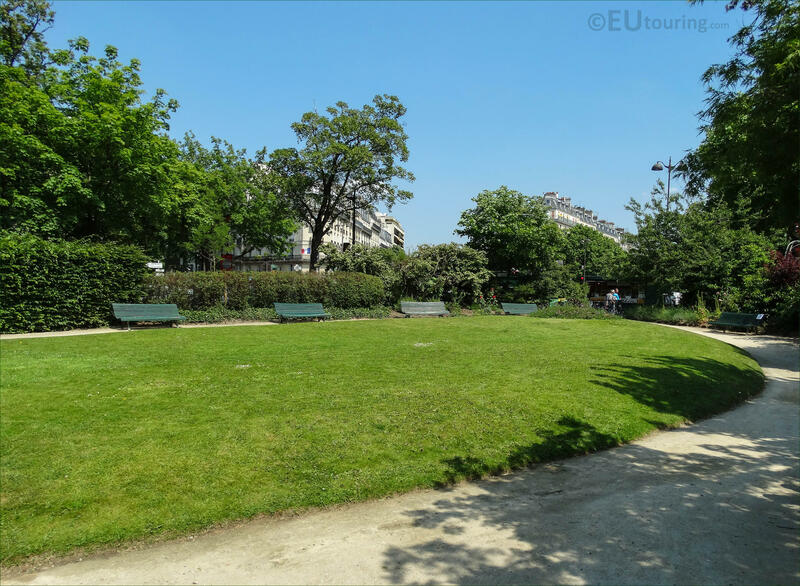 There are actually three main grass areas within the Square Claude Nicolas Ledoux, and this is view of one of them, but with the paths and trees dividing these, it make the garden seem more intimate and unusual. 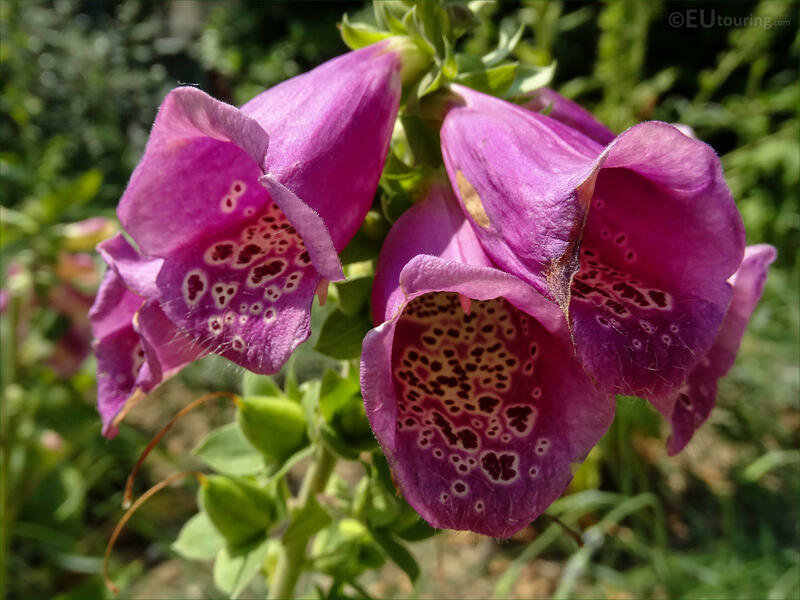 So for those of you that are into gardening, there are different varieties of trees you can discover here including purple hazel, honey locust and flowering cherry trees to name a few, or perhaps discovering another monument dedicated to a famous French person is more to your liking. 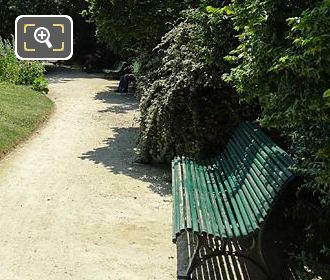 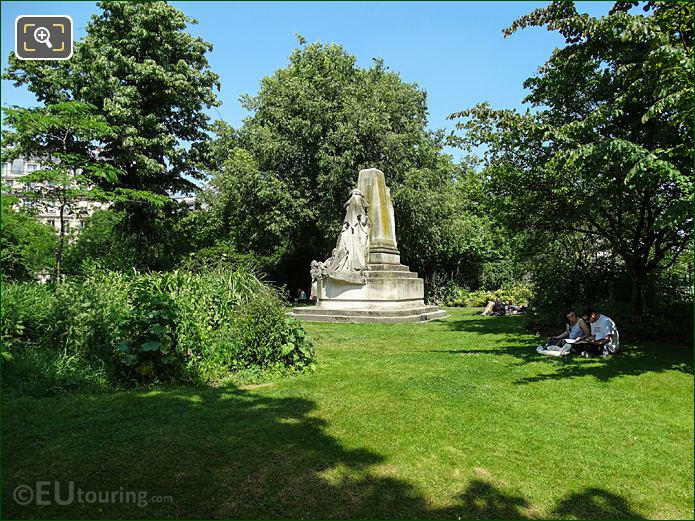 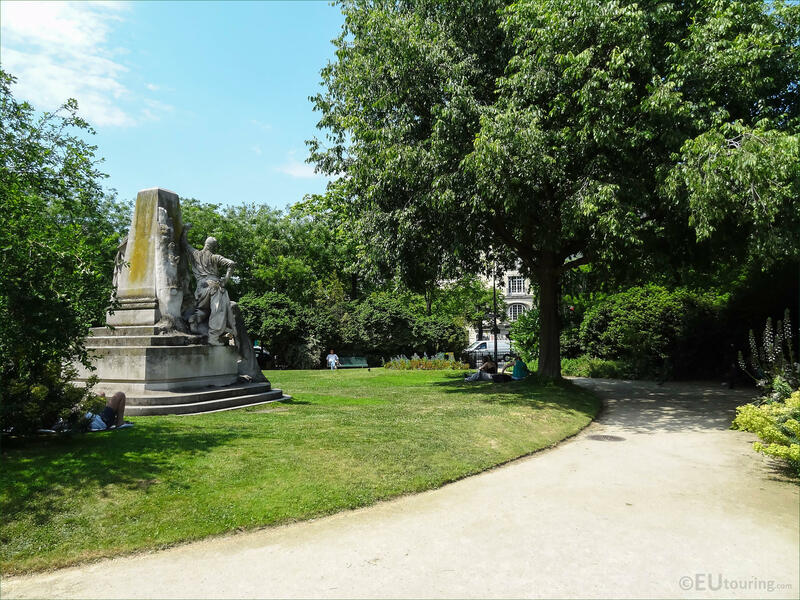 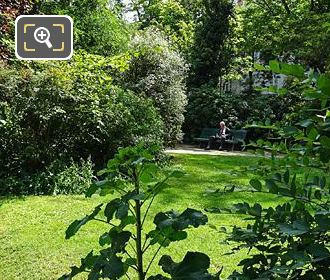 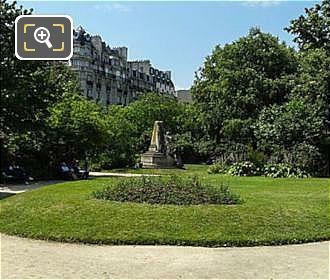 The Square Claude Nicolas Ledoux is also the perfect place to stop, relax and rest weary feet on one of the numerous park benches, before visiting other tourist attractions in the area such as the famous museum of the Catacombes. 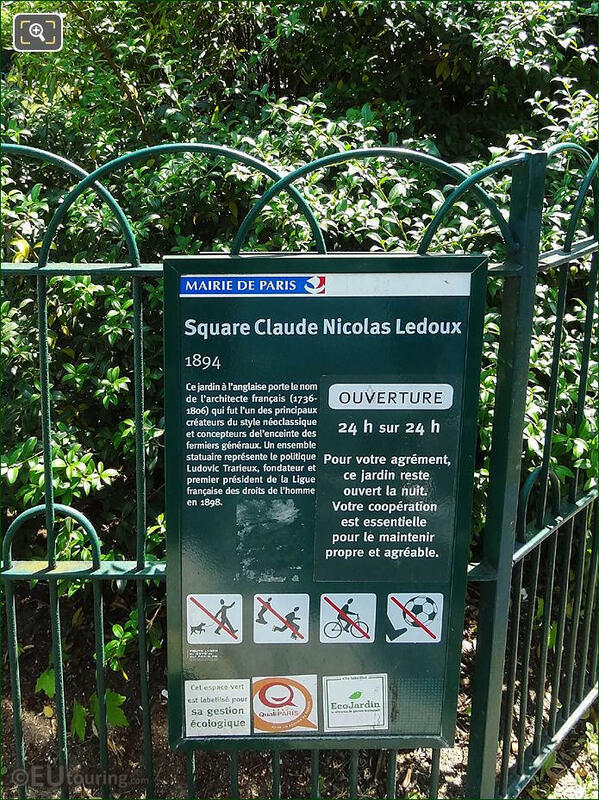 You may also be pleased to know that this square in Paris is open 24 hours a day, and it is suitable for the disabled including wheelchair users, however cycling and skateboarding, etc are not permitted. 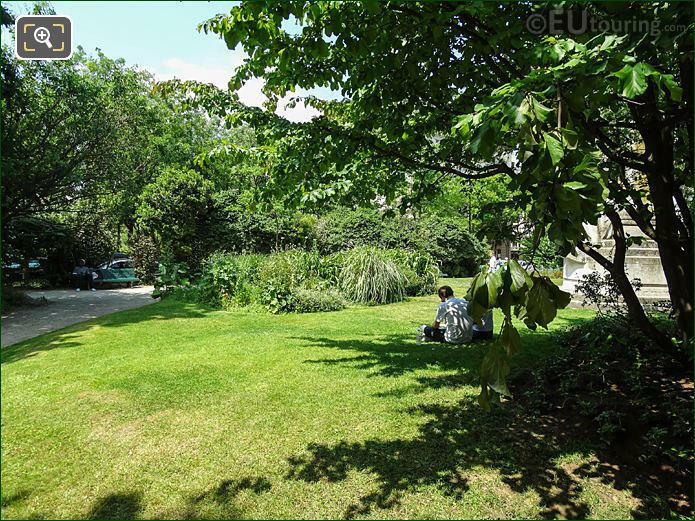 And although the grass areas are perfect for sunbathing or even having a picnic, another regulation is no ball games and this is a square where dogs are not allowed, although the one located next to it does permit dogs on leads. So here you can see a close up of the tourist information board from the Mayor of Paris, that shows these regulations for the Square Claude Nicolas Ledoux, along with a very brief history of when this was first laid out as an English style garden back in 1894.